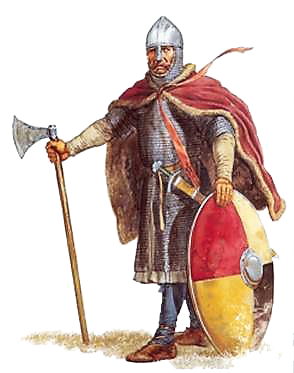 Above: A typical Viking Warrior. It is a complete myth that the Vikings had helmets with horns! With the family we have been on a delightful cruise to Iceland/Faroe Islands/Western Norway. This part of the world of course makes one think of the Vikings from whence the name Molyneux originated. Norwegian & Icelandic historians identified Rollo as originating in Western Norway, so it was natural to think of him as we viewed the magnificent scenery in the Norwegian fjords. Waterfalls tumbling hundreds of feet in delicate cascades, snow-capped mountains and glaciers. Rollo left all this in 885 with a Viking fleet and besieged Paris, and did so again in 911. After being given land and settling in France (Normandy) he died before 933, and the leadership passed to his son William Longsword. We all know what happened after 1066 when Rollo’s 3 x gt.grandson William Conqueror came to England. The Molyneux were given lands in the North West of England and you can take it from there. 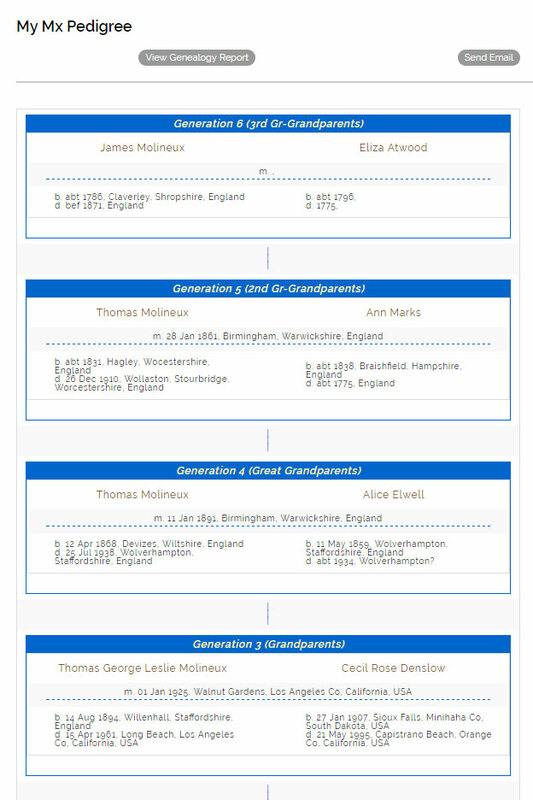 > Origins and Variation of our Molyneux Surname. > Mx Crest and Coat of Arms Usage. 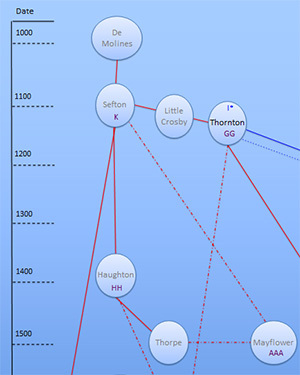 Lineages tied together by shared ancestors/relatives—known, reputed or suspected—received from individual members and/or written about said individual in MxWorld has been used to illustrate the inter-connections between our Mx families. 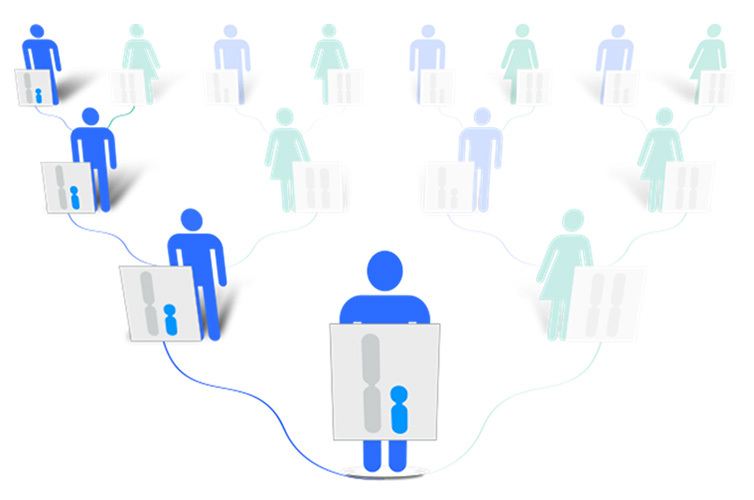 Sometimes allocation to a Line is little more than inspired guess work based on one or more identifying factors such as specific locations, given name patterns or key surnames married into the Mxes. Data from our Y-DNA Surname Project and historical sources has also been used in this effort. Please let us know if you feel that you belong in a different line than the one our volunteers assigned. IMFA members worldwide have shared their Mx family information. Sometimes this is in the form of a text based story, a GEDCOM file or an Mx pedigree entered directly on our website. This information is critical to both individual member research efforts as well as the success of our IMFA lineage and DNA Surname projects. When a GEDCOM is supplied we generate a Genealogy Report in PDF format. This report provides more detail than your basic Mx pedigree and can assist other members in finding connections to your tree. > View or Edit My Mx Pedigree. > Add My Mx Pedigree. > Member Research Help Request. IMFA considers DNA testing and the Y-DNA Surname Project to offer significant opportunity to further our knowledge of the various branches of MX families and how they interconnect. Your participation is critically important. 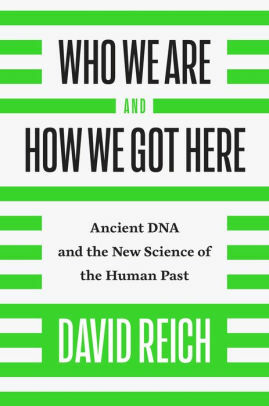 Learn more about DNA and genetic genealogy in our DNA Bibliography, recommended reading to further your understanding of DNA.